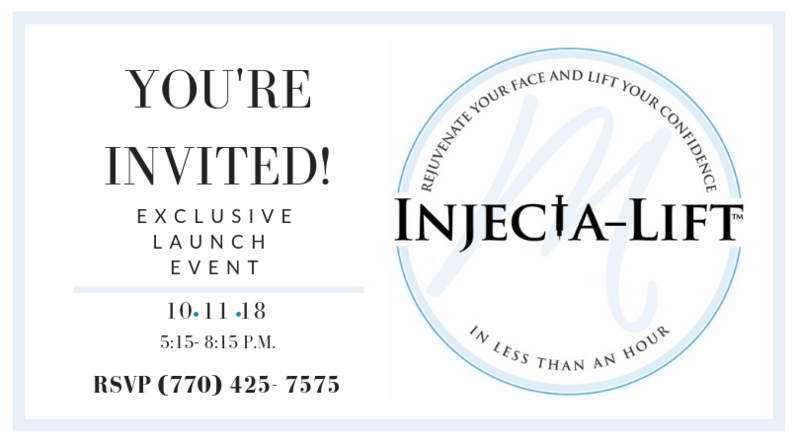 Join us for the Injecta-Lift LAUNCH EVENT! Meet the Creator of Injecta-Lift™ Seth A Yellin, MD, FACS and master injector Kelly Houmand, PA-C. Discover how in less than one hour, you can rejuvenate your face and lift your confidence. Mini consultations are first come, first serve. Raffle Prizes valued over $7,000+, Injecta-Lift™ Gift Bags, Event Specials, Lite Bites & Live Music! You don’t want to miss this event, RSVP today (770)-425-7575. The Injecta-Lift™ procedure rejuvenates your face and lifts your confidence in less than one hour. The magic is in the masterful technique & artistry of our injectors to create a naturally more beautiful you. Home › Specials › You’re Invited! Disclaimer: Individual results will vary and no guarantee is stated or implied by any photo use or any statement on this website.